Jorhat Institute of Science & Technology, Jorhat. 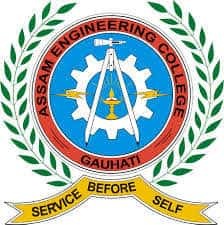 Private Engineering Colleges and State Universities of Assam. Nationality: Candidate must be an Indian Citizen and a permanent resident of Assam. Age: Candidate must not be above 21 years or below 17 years of age on the 1st of August of the year in which the candidate seeks admission. Physical & Mental State: Candidate must be physically and mentally fit with a good moral character. For B. Tech: Candidate should have passed Higher Secondary Examination of the Assam Higher Secondary Education Council with a minimum aggregate of 50% (45% in the case of Schedule castes and 40% in the case of Schedule Tribes) in Physics, Chemistry, Mathematics, and English in the same sitting. For Lateral Entry after 3-year Polytechnic Diploma: Candidate must appear for the Lateral Entrance Examination conducted by the Directorate of Technical Education, Assam, and be selected for admission. Candidates are required to fill the Common Application Form for all the undergraduate courses available Online.The entire process of making an application for admission in various courses during the academic session 2018-19 has to be made ONLINE. Candidates can click on the following link to fill the CEE 2018 Application Form. The Assam CEE 2018 application form has to be submitted through the online mode. There is no need to send a copy of Application Form or any Document to the Registered office. However, candidates may take a printout of Application Form for their personal record. Assam CEE 2018 admit card will be available to download from 9 April 2018 onwards. Admit Card is an important document to appearing in the examination centre. Candidates are required to carry 1 recent passport size colored photograph at the time of the exam. Candidates are advised to check the details like name of the students, exam centre, exam dates etc. on the printed admit card. The admit card will not be dispatched through the post to the candidates, so no correspondence in this regard will be considered. The result of ACEE 2018 will be declared on 10 May 2018. Candidates can check their ACEE Result 2018 through the link given on this page below. On the basis of merit list of ACEE 2018 candidates will be selected for Admission. Candidates belonging to Scheduled Castes/Scheduled Tribes or any other categories will be selected against the quota reserved for them according to merit. In the case of two or more students securing same marks in Assam CEE 2018 then their marks in qualifying exam/ Class 12 will be considered. During counselling, the candidates have to bring filled in counselling form. The branches of the undergraduate Bachelor in Engineering (B.E.) Courses are given below. Assam CEE for students opting for Engineering will consist of objective type multiple choice questions in the Physics, Chemistry, and Mathematics. Syllabus for Assam CEE 2018 is same as the NCERT syllabus adopted by Assam Higher Secondary Education Council. Answers in OMR sheets are to be marked with only black dot pen. Candidates nominated for reserved seats for other States, Union Territories, and Foreign Countries by their respective Governments, provided they satisfy the conditions for eligibility. Candidates ranked within the first 10 positions in the Assam Higher Secondary (Science Stream) Examination of the Assam Higher Secondary Education Council should secure not less than 75% marks in aggregate in the year in which they seek admission. Such candidates must apply for direct admission within 10 days of publication of their qualifying examination results, to the Director of Technical Education, Assam. Directorate of Technical Education, Assam held the CEE for the admission in following colleges. There are total 6 colleges in which the admissions are done through Assam CEE.